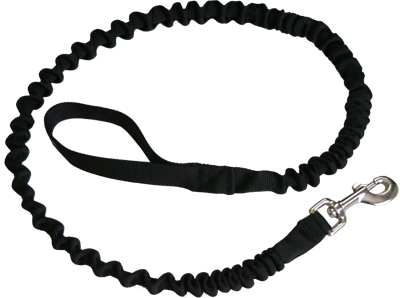 Select a Length: 24" 48"
These Bungee Leashes are made with durable nylon shock cord and nylon tubular webbing. The elastic cord stretches/contracts and cushions the tension between a dog and handler. This is a gentle way to teach the dog to not pull on the leash.